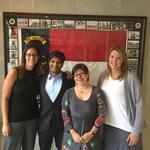 Who is Save Our Schools NC? 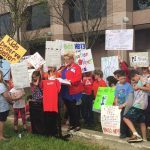 Save Our Schools NC is a grassroots, parent-led group. 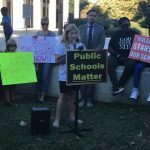 We believe that every child in North Carolina deserves a well-rounded public education, and that the best way to achieve this goal is to fully fund public schools and craft careful well-considered policies that address the unique characteristics of each community within the state. 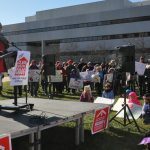 Originally formed to address the North Carolina General Assembly’s harmful class size law, Save Our Schools NC, works to educate parents, provide them with virtual space in which to gather and discuss education policy, and empower them to lobby their elected officials for laws that will help achieve our goals. Below is a video from Public Schools Forum highlighting the work of the founder of SOSNC, Renee Sekel. It also features member Susan Book. 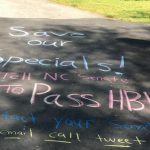 Save Our Schools NC began as an effort to support HB 13. This unanimous house bill would have created friendly ratios and given schools flexibility for the unfunded class size mandate dictated in a past budget bill. It was stuck in a senate committee and we pushed to move it. 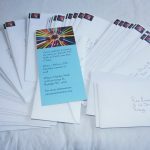 We held postcard parties, and encouraged calls to all NC Senators. 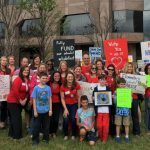 We showed up to help lobby with our good friends Public Schools First NC and the North Carolina Association of Educators. In April, we organized and held a rally at Halifax Mall to bring awareness to the bill and the problem of the unfunded class size mandate. 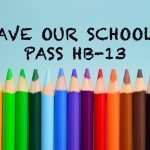 We had hoped that HB 13 would pass; and art, music, and P.E. teachers would have secure positions. Unfortunately, the Senate’s version of the original HB 13 was not acceptable. It delayed the full brunt of the class size mandate numbers, and did not keep any wording to secure the positions of specialist teachers. It also began to roll out the mandate in a small dose for the school year 2017-2018. 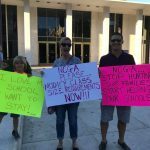 Save Our Schools NC did not give up. We dusted ourselves off and went right back to lobbying our legislature. 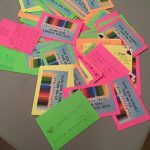 Renee Sekel devised a brilliant pledge to urge legislators to promise to fund our specialist teachers. 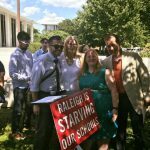 At all special sessions of the North Carolina General Assembly this year, Save Our Schools NC was there. We held mini rallies outside. We spoke to our senators and made numerous trips to Jones Street. 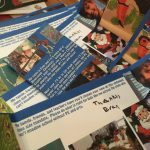 In the winter we wrote Christmas cards to the NCGA. 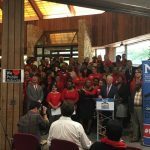 We did a social media campaign that included wearing red on Wednesday, and then held a major rally. Finally, better legislation was past in the form of HB90. It is a jumping off point, not a final solution to class size chaos.